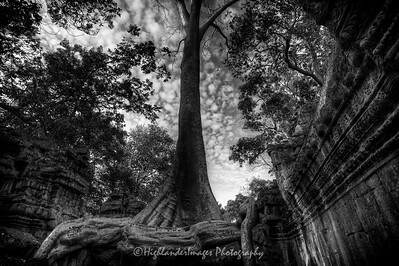 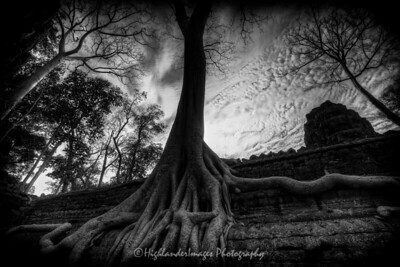 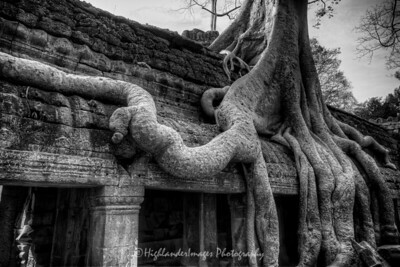 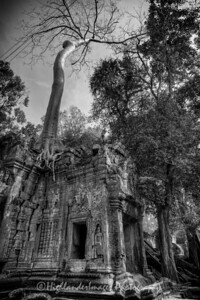 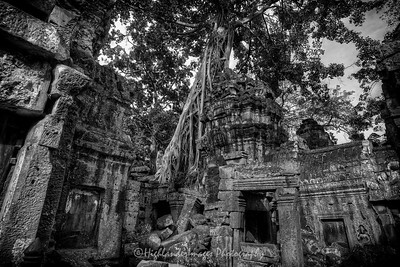 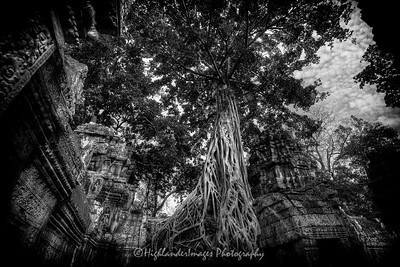 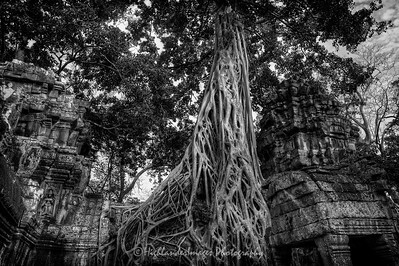 One of the most distinctive features at Ta Phrom temple, Siem Reap, Cambodia has to be the extraordinary trees growing out of the ruins. 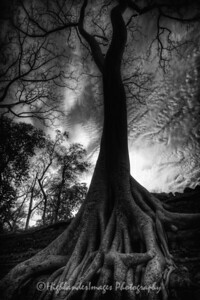 Two species predominate, but sources disagree on their identification: the larger is either the silk-cotton tree (Ceiba pentandra) or thitpok Tetrameles nudiflora, and the smaller is either the strangler fig (Ficus gibbosa) or Gold Apple (Diospyros decandra). 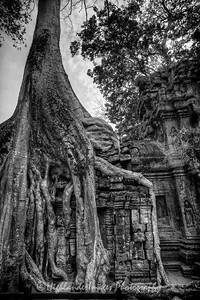 Ta Prohm (Khmer: ប្រាសាទតាព្រហ្ម) is the modern name of a temple at Angkor, Siem Reap Province, Cambodia, built in the Bayon style largely in the late 12th and early 13th centuries and originally called Rajavihara (in Khmer: រាជវិហារ). 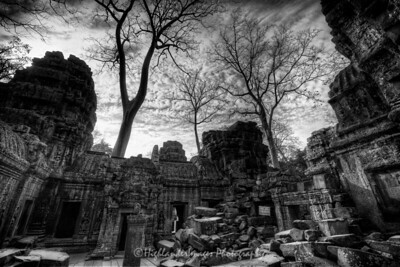 Located approximately one kilometre east of Angkor Thom and on the southern edge of the East Baray, it was founded by the Khmer King Jayavarman VII as a Mahayana Buddhist monastery and university. 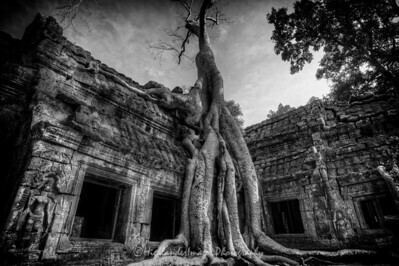 Unlike most Angkorian temples, Ta Prohm has been left in much the same condition in which it was found: the photogenic and atmospheric combination of trees growing out of the ruins and the jungle surroundings have made it one of Angkor's most popular temples with visitors.